We're officially in the dog days of summer, and it is HOT everywhere! When it comes to lunch in this summer heat, we can't imagine eating anything warm, so it's been salads, salads, salads. This summery watermelon salad is like the grown-up version of eating watermelon all day to stay cool and hydrated. 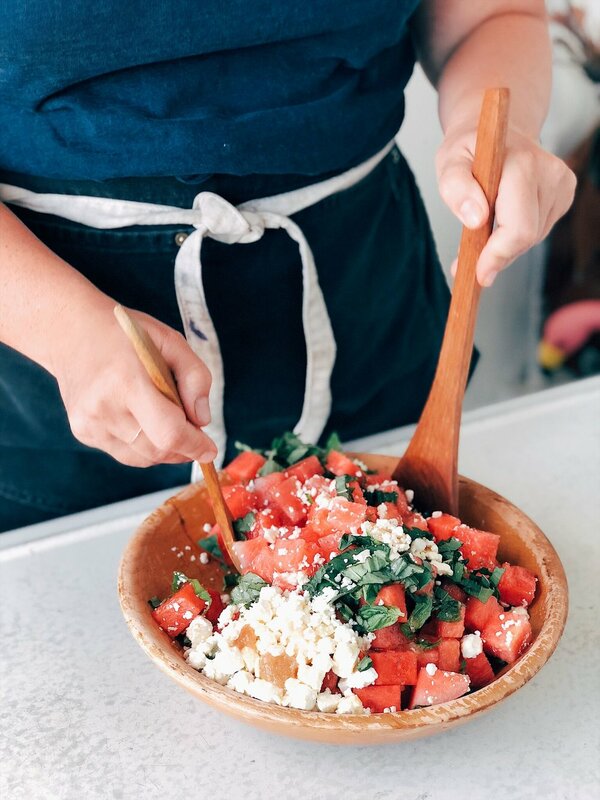 We paired fresh watermelon with feta cheese (trust us on this one), chopped up a bunch of basil + mint, and drizzled it all with a vinaigrette made from our Pear Habanero Jam. What happened in our mouths was so delicious with the different flavors and textures. You taste the sweet, crisp watermelon, the salty tang of feta, the fresh earthiness of basil and mint, and the slight heat from the Pear Habanero vinaigrette. Our mouths are watering all over again! 1. Cut your watermelon into bite size pieces. 2. Chop basil and mint and add to bowl with watermelon. 3.Crumble feta cheese over the salad. 4. Mix jam, vinegar, and olive oil together and drizzle over top everything. 5. Mix thoroughly and enjoy by itself, atop arugula, or alongside a sandwich! Enjoy! 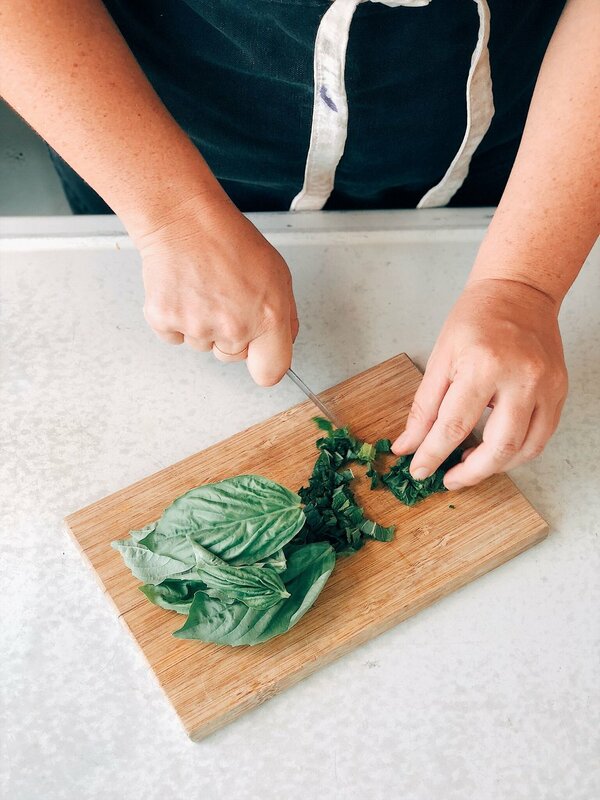 What's your favorite summer recipe to help beat the heat? We wanna know!